The 5 Night Bermuda cruise from NJ aboard Royal Caribbean International’s Anthem of the Seas is one of our favorites. The starting price for this cruise is only $399. The trip itself has been given a 4.5/5 rating by the Cruise Critic Editor. The Anthem of the Seas is enormous and luxurious with room for over 4,000 passengers. The ship’s entertainment is great and includes Broadway-caliber play and theater. 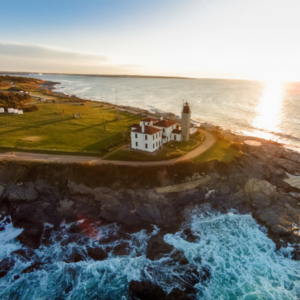 Royal Caribbean International’s 6 night tour around Canada and New England aboard the Adventure of the Seas is one of the best cruises from New Jersey. The Adventure of the Seas first set sail for Canada and New England in 2011, the trip has since gone on to become one one of the most beloved cruises from Bayonne. It’s among the world’s largest cruise ships and includes some pretty unique activities ranging from ice skating to rollerblading and rock climbing, as well as a number of boutique retail stores and amenities. This ship is exceptionally well designed and includes a number of differently themed rooms and cabins. The Adventure of the Seas is one of the best available cruises from Cape Liberty Port, it will wow those new to cruises and will even impress those of us of more sturdy sea-legs. Celebrity Cruises 6 night trip around the eastern Caribbean aboard the Celebrity Summit offers a particularly intimate and enjoyable vacation. The Celebrity Summit cruise from New Jersey is one of Celebrity Cruises’ cozier ships, carrying only a little over 2,000 passengers and departs from Cape Liberty Port in Bayonne. What it lacks in room it makes up for in entertainment and activities. The Celebrity Summit actually acts as a sort of testing ground for Celebrity Cruises out of New Jersey latest and greatest offerings, which includes new dining menus and entertainment programs. So even for those who have been aboard the Summit before, there is always something new and fun to try aboard the ship. This is also one of Celebrity Cruises cheaper offerings, particularly if you book your cruise during the winter which, although it’s technically the ‘off season,’ is actually when the Caribbean has some of it’s best, most enjoyable weather. Royal Caribbean International also offers a wonderful 7 night trip to the Bahamas aboard the Adventure of the Seas. 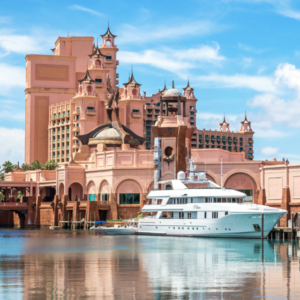 The Bahamas offer a classic vacation-destination which we highly suggest for anyone who loves warm sand, beach chairs, and drinks with umbrellas in them. This is one of the best overall cruises from Bayonne. 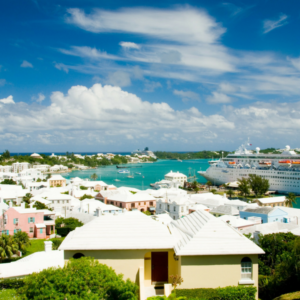 For a longer stay, this time in the Southern Caribbean and with a stop in Bermuda climb aboard the Anthem of the Seas. This trip is for those in need of extreme relaxation only! The Anthem is truly a fan-favorite and one of the most fun cruises out of New Jersey, it includes more restaurants, bars, and sources of entertainment than just about any other ship under the sun. There are a number of other cruises from Cape Liberty Port, but these 5 are our favorites. 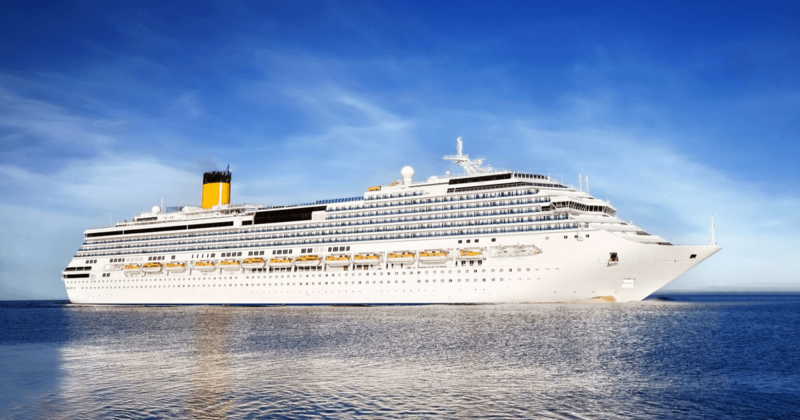 Before you board it is important to remember that the longer your cruise the higher the risk loss and potentially even injury. So get peace of mind and protect yourself from the unknown with travel insurance through Yonder Travel Insurance by getting an instant quote now!